According to Rohde & Schwarz, the R&S ZNBT40 is the first vector network analyzer (VNA) to offer a frequency range from 100 kHz to 40 GHz and up to 24 test ports. The multi-port architecture allows measurements to be made on multi-port components, but also to conduct simultaneous tests of several components in production by performing up to 24 measurements in parallel. A multi-port version covering frequencies up to 26.5 GHz (ZNBT26) is also announced. The R&S ZNBT40 vector network analyzer is particularly suitable for measurement applications on 5G antenna arrays. Its frequency range up to 40 GHz allows the testing of active and passive components used in multi-antenna communication systems (MIMO, SISO, MISO), as well as radar systems. This analyzer can be used for measurements on front modules, antenna arrays and beamforming chips for telecommunications to the 5G NR standard. It performs measurements on up to 24 test ports simultaneously, allowing measurements on multi-port components as well as simultaneous parallel measurements on several units under test. 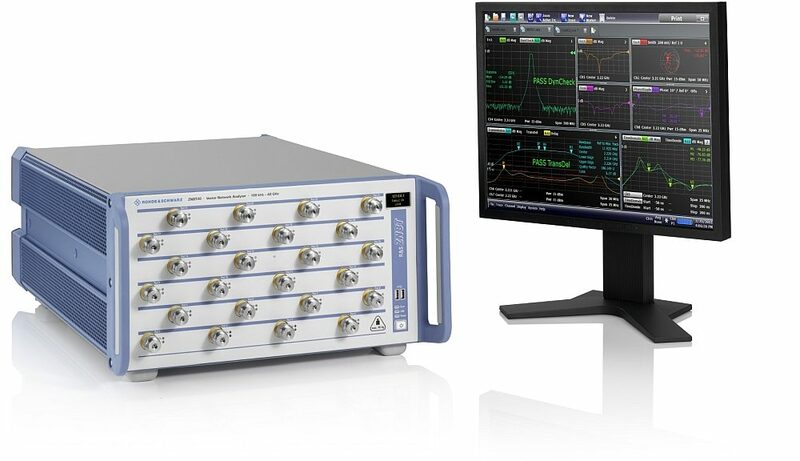 According to Rohde & Schwarz, the R&S ZNBT is currently the only multi-port vector network analyzer capable of performing measurements in the frequency spectrum below 300 kHz. The R&S ZNBT allows users to perform signal integrity tests in order to check crosstalk or length offset between lines or to detect faults in cables. In addition to measuring S parameters on multi-port components, R&S ZNBT VNAs can perform phase measurements on up to 24 signals. 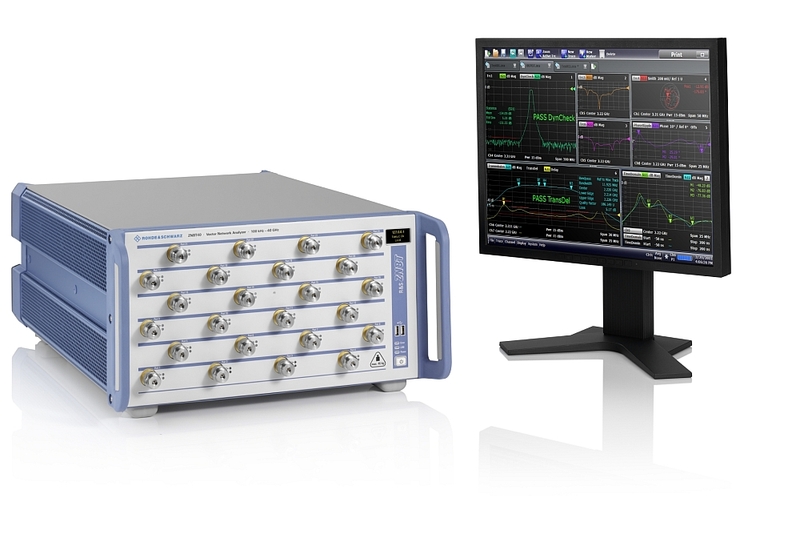 The R&S ZNBT40 and R&S ZNBT26 multi-port vector network analyzers are the latest models in the R&S ZNBT family, which includes the R&S ZNBT8 (9 kHz to 8.5 GHz) and the R&S ZNBT20 (100 kHz to 20 GHz) which can also be equipped with 24 test ports.